The Victory Briefs Institute is directed by some of the most successful debaters and coaches of all time. Our team spends more time thinking about how to improve debate instruction than any other summer program. Our leadership team is actively engaged in teaching debate, both during our sessions and during the season. Jake Nebel is Executive Director of Victory Briefs, a PhD candidate in philosophy at New York University, and (starting fall 2019) assistant professor of philosophy at the University of Southern California. Before coming to NYU, he was an undergraduate at Princeton and a graduate student at Oxford. As a coach, his students have won the TOC, NDCA, the Dukes & Bailey Cup, the Glenbrooks, the Harvard RR, Bronx, Emory, TFA State, and other national, regional, and local championships. As a debater, he won the Glenbrooks (twice), Greenhill (twice), Harvard, Emory, Bronx, the Bronx Round Robin, the MBA Round Robin, the VBT Round Robin, and the FFL State Championship, was in finals of NSDA Nationals, and was top speaker at the TOC, Greenhill, Harvard, Bronx (twice), the Bronx Round Robin (twice), Yale (twice), the Vassar Round Robin, the Crestian Classic, and the FFL State Championship. He attended VBI three times as a student and has worked at 31 sessions. Chris Theis is Executive Director of Victory Briefs. He currently coaches for his alma mater, Apple Valley High School (MN). He has previously coached students from Palos Verdes Peninsula High School (CA), Trinity Preparatory School (FL), Winston Churchill (TX). He currently sits on the National Debate Coaches Association’s Executive Committee, the National Speech Association Lincoln-Douglas Topic Wording Committee, and the Tournament of Champions (TOC) Lincoln-Douglas Committee. SunHee Simon is Director of Lincoln-Douglas Debate at Victory Briefs. SunHee has participated in debate since the 7th grade and has been a championship debater in both Lincoln Douglas and Policy Debate. In 2015, she was one of only two people to qualify to the Tournament of Champions in CX and LD. Her freshman year at Stanford University--where she now attends--she earned the semifinal title at the Cross Examination Debate Association (CEDA) national tournament. Now, she focuses on coaching a few students while she finishes up school. She has helped her students get to late elims, finals, and/or championships of national tournaments like the Glenbrooks, NDCA, Berkeley, Emory, and the TOC. This is SunHee's fifth year with VBI. Matthew Salah is the Director of Public Forum Debate at Victory Briefs. Matt Salah debated for four years at the Nueva High School in San Mateo, California. 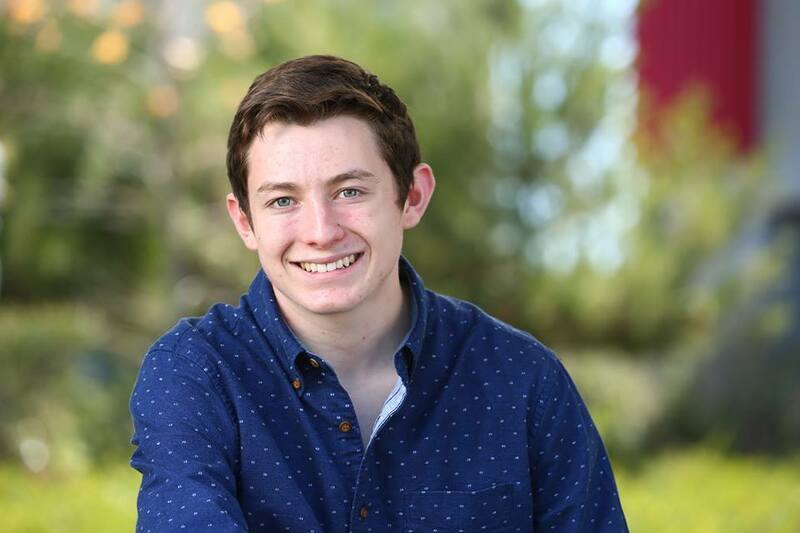 As a member of the first graduating class of his high school, Matt played a large role in founding and establishing the debate team at Nueva. Some of his most notable accomplishments include championing the Tournament of Champions (2017), the ASU Invitational (2017), and the Bronx Science Tournament (2015). Now, Matt coaches debate for Horace Mann High School, and studies political science and economics at Swarthmore college. He is returning to VBI for his third year. Marshall Thompson is a Director of Instructional Design & Curriculum at Victory Briefs. He is is currently pursuing a PhD in philosophy at Florida State University, having previously received a bachelors degree in philosophy from Wheaton College. A large portion of Marshall's academic studies focuses on the science and practice of effective teaching. Marshall has been successful both as a debater and coach; in recent years he has coached debaters to win major national tournaments (such as the Bronx Invitational) and reach late out rounds at many others (including twice reaching finals of the TOC). Marshall is an experienced camp instructor having both taught and developed curriculum at multiple camps for years. This will be his ninth summer at VBI. Nick Smith is the Squads Manager and a Director of Instructional Design & Curriculum at Victory Briefs. He studied Political Science and Philosophy at the University of Minnesota. He was the Director of Debate at Hopkins for four years, a coach at St. Thomas Academy & The Visitation School, in addition to privately coaching several students. He now is the head coach at Apple Valley High School. His students have won multiple state championships, reached late elimination rounds at many major national tournaments, received numerous round robin invitations, and have frequently qualified to the TOC, NSDA Nationals, NDCA Nationals, and NCFLs. Nick has worked at twenty eight sessions of the Victory Briefs Institute. Krithika is the Public Forum Curriculum Director at Victory Briefs. She is a two-time qualifier to the Texas Forensic Association State tournament in both Public Forum and Domestic Extemp. She has competed in late out-rounds of every national tournament she has attended since sophomore year including the University of Texas, Harvard, University of Pennsylvania, Bellaire, ASU, Dowling and the International Tournament of Champions. She has received invites to round robins such as the Bellaire Round Robin (reaching semifinals her sophomore year), Kandi King Round Robin, Harvard Round Robin and Berkeley Round Robin. Her senior year she championed the Grapevine Classic tournament (in addition to winning top speaker with perfect speaker points), Colleyville Heritage tournament and the Myers Park Invitational and has been ranked as high as #1 in the nation by Debate Rankings. After attending VBI three times as a student, she looks forward to returning as an instructor! Kara Dreher is Director of Student Life at Victory Briefs. She holds an AB in Politics from Princeton University, an MSc in Child Development from Oxford University, and an MA in Teaching from the Relay Graduate School of Education. She is currently a member of the Upper School English Faculty at Ranney School in New Jersey, where she teaches 9th, 11th, and 12th grade, and serves as the Dean for the Class of 2020. Previously, she taught 8th grade Literature with Achievement First in New York, where she also served as a Course Lead and Curriculum Consultant for two years, crafting the network's 8th grade Literature curriculum and compiling resources for 6th-12th grade curricula. Prior to her role as Director of Student Life, Kara served as VBI's Instructional Development Director, and she continues to advise on pedagogy, curricular development, and teaching standards at VBI. This is will be her sixth summer with VBI. Anthony Berryhill is Managing Director at Victory Briefs. He holds a B.A. in Political Science from Stanford University, is an alumnus of Yale’s Ph.D. Program in Political Theory and holds an M.B.A. Anthony is currently a Learning and Development Manager for GLG, a learning platform which helps the world’s largest financial institutions with their research needs. At GLG Anthony helps lead the company’s onboarding, diversity/inclusion and operational training programs. As a coach Anthony has coached TOC champions (most recently in International Public Forum in 2017) and late elim round participants at NCFL and NSDA. As a competitor he qualified to national championships in LD, Extemp and Senate Legislative Debate his senior year. 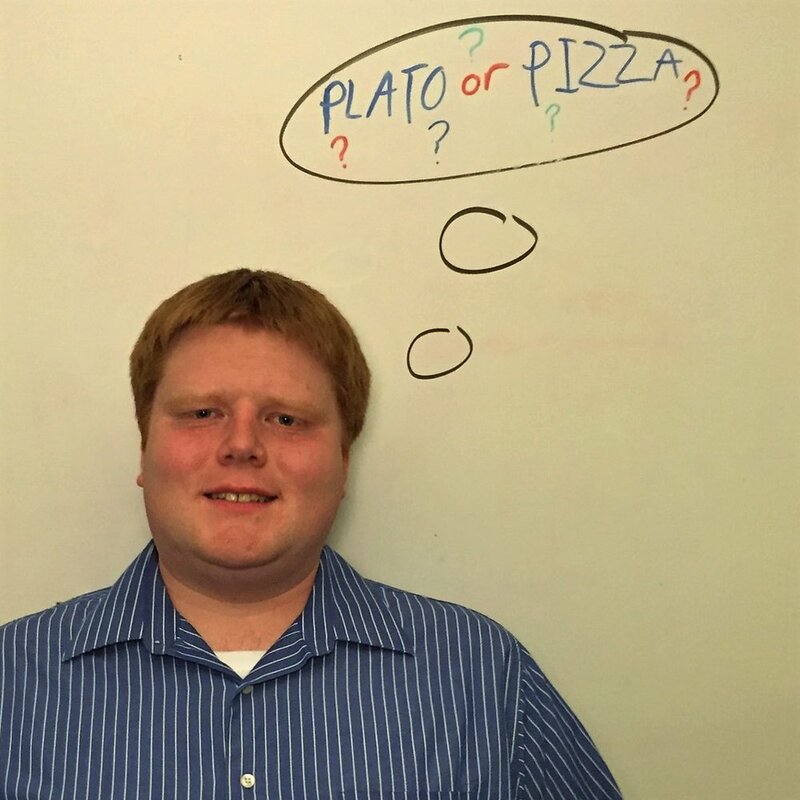 As an instructor Anthony specializes in critical theory, argument analysis, refutation and building debaters' confidence. This will be Anthony’s fifth summer with VBI. Devane Murphy is Assistant Managing Director at Victory Briefs. Devane is a former debater for Rutgers-Newark and Newark Science. With Rutgers Newark, Devane won the 2017 CEDA National Championship and the 2017 NDT. He also was the top Speaker of the 2017 NDT. Devane has coached on the college and high school level and has coached multiple qualifiers to the TOC, CEDA nationals, the NDT and debaters to late elimination rounds at national tournaments throughout the season. Devane has taught at both LD and policy labs including 2017 VBI LA 1/2 top lab and 2017 NDA Frost Valley top lab. Lawrence Zhou is the Director of Publishing at Victory Briefs, where was formerly a Lincoln-Douglas Curriculum Director. He is the 2014 NSDA Lincoln-Douglas national champion. He debated at Bartlesville HS in Oklahoma (2010-2014) in Lincoln-Douglas debate where he was a two-time champion of the Oklahoma State Tournament and placed 6th at NFL Nationals his junior year. He now attends the University of Oklahoma where he is a MIS major and Philosophy minor. 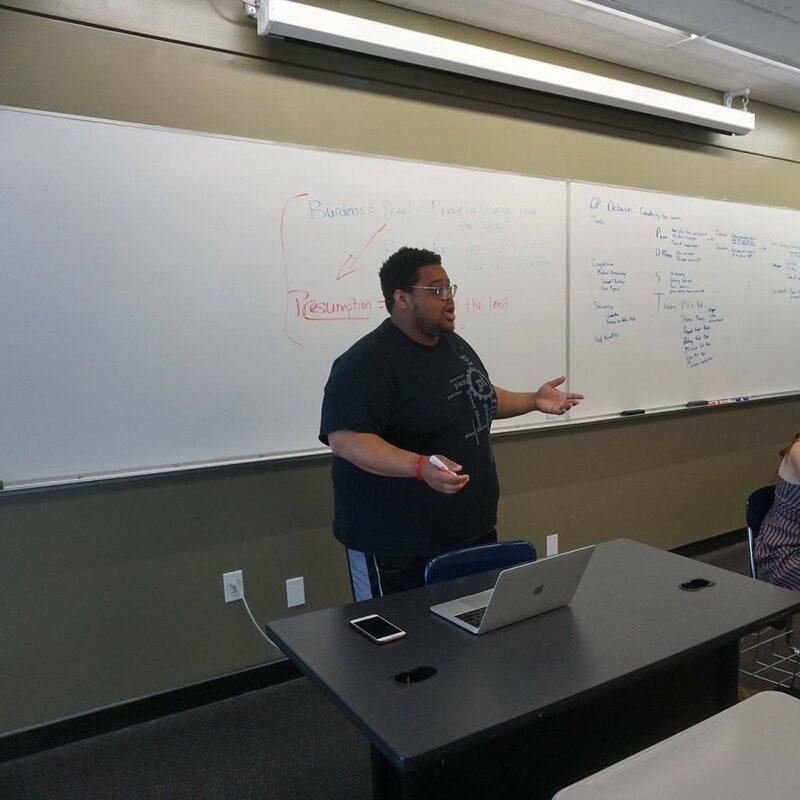 He is an assistant coach at The Harker School, a member of the OU Ethics Bowl Team where he placed as the National Runner Up at the 2018 Intercollegiate Ethics Bowl National Competition, and debates on the OU Shannon Self Debate Program policy team where he advanced to outrounds at the 2016 and 2018 CEDA Tournament. Grace Thompson is the Customer Service Manager at Victory Briefs and has worked with the Institute for three years. Grace is pursuing a B.A. in linguistics at Miami University of Ohio where she works as a consultant at the Howe Writing Center, assisting Miami students across a variety of disciplines. Grace is also the recipient of several creative writing awards and scholarships. She spends her free time thinking about verb tenses, telling people how amazing VBI is, or writing a series of young adult novels about Robin Hood.